Cute Child’s Secretary – Uniquely Yours… or Mine! I don’t often make special trips to Goodwill… I just don’t seem to have the “luck” that some of you have and more often than not I leave empty handed… but if I’m near one I always check it out! So I was very happy that this time I spotted this super cute secretary & chair! The secretary had nice legs and was a great size (and that’s about it)! 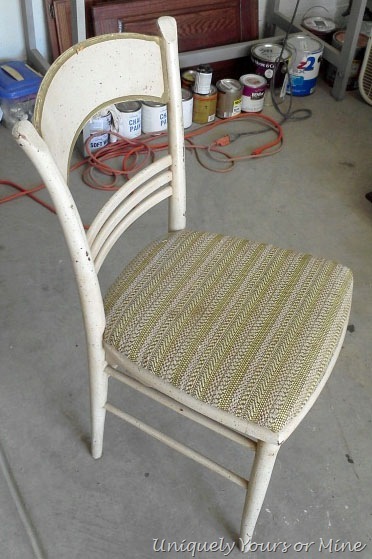 The chair was just plain gross, but sturdy, so that was helpful. I had to fill some cracks, fix the hinge and lever on the fold down top and of course sand and paint them both. I couldn’t help but think that this would be a perfect piece for a little girl…being partial to girls since I have three of my own it’s easy to go there! So I picked up some pretty small print damask fabric that has grey, pink and cream tones as well as a coordinating striped fabric for the chair. After the repairs, a good sanding and cleaning I painted both pieces in a white / off white paint I had on hand. 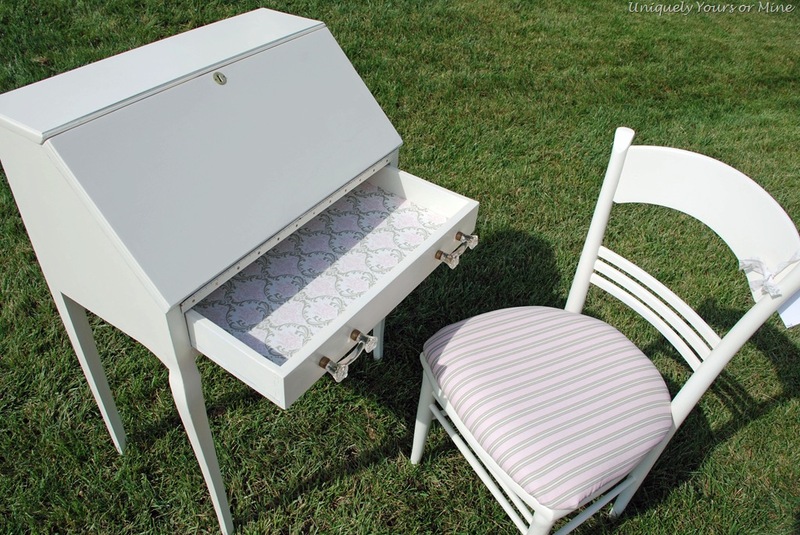 I then decoupaged the damask fabric to the inside of the desk, the “little” drawer and the “big” drawer. I also replaced the original knobs with some cute light pink glass ones that I picked up from Anthropologie. I replaced the seat foam and fabric on the chair because what was there was very thin and not comfortable at all! I think she turned out super cute! 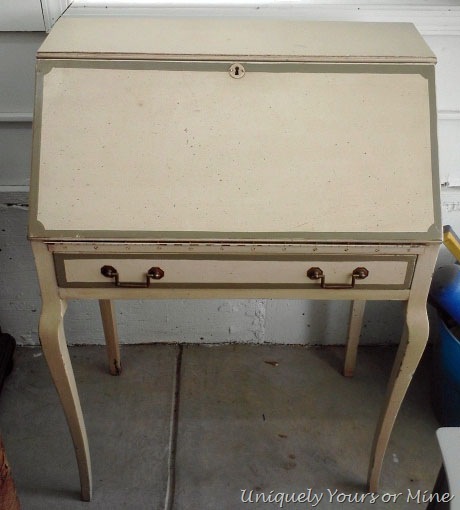 I coated the desk & drawer fabric with a few coats of Mod Podge for protection and then lightly sanded it down with 250 grit sandpaper to remove the roughness that the Mod Podge left….it came out feeling silky smooth! Can you imagine how cute this would be in a little girls room? It would probably never get used but I just love thinking about how it would look in the right space! On a slightly personal note I’m SUPER busy working on lots of pieces and I might even have some awesome news to share next week! So thanks for stopping by and as always I love reading your comments! I’m linking up to these fabulous parties! 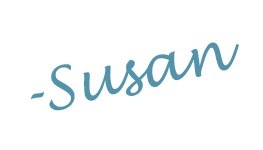 Hi Susan, you may not find goodies often but when you do, WOW! This is so cute and I love the colors you used with the fabrics. I’d love if you’d link it to my Frugal Treasures Tuesday party going on now. Thanks so much for sharing. We have no places like this by me I wish we did. What a cute desk it turned out beautifully. Great job. Adorable Susan! What a great find! I would love if you stopped by my Creative Inspirations Party to link up! I too, never have any luck with goodwill. Can’t believe the amazing find…I think it is beautiful! Oh Susan you did an outstanding job on that piece. What an awesome find. This is such a wonderful post! I would love it if you would share this at our WIW linky party. Hope to see you there. This was definitely a fantastic GW find. Always hit or miss there…more often a miss. Love what you did to it. It goes perfectly w/ my GW desk find. 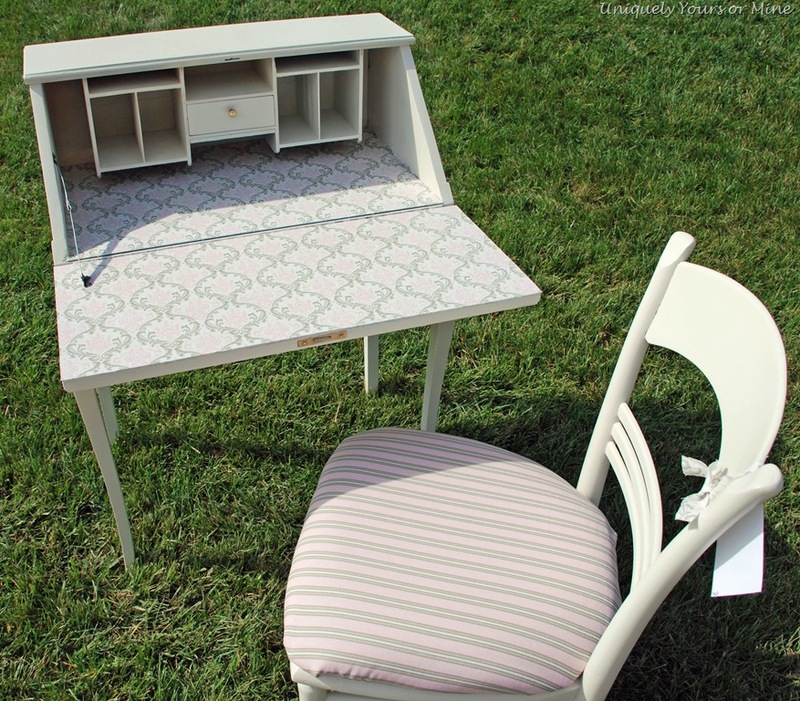 Hi Susan, I love this little desk and everything else I’ve seen on this page! You do beautiful work. I’m a new follower and thanks for stopping by my blog and leaving kind words. Pingback: The Red Secretary « Uniquely Yours… or Mine! Soo beautiful! How did you paint the inside Provence? You said it was brutal, but what kind of brush did you been use to attempt it? And we’re you able to make it very smooth?! Are you looking at the child’s secretary desk, which is what was commented on? 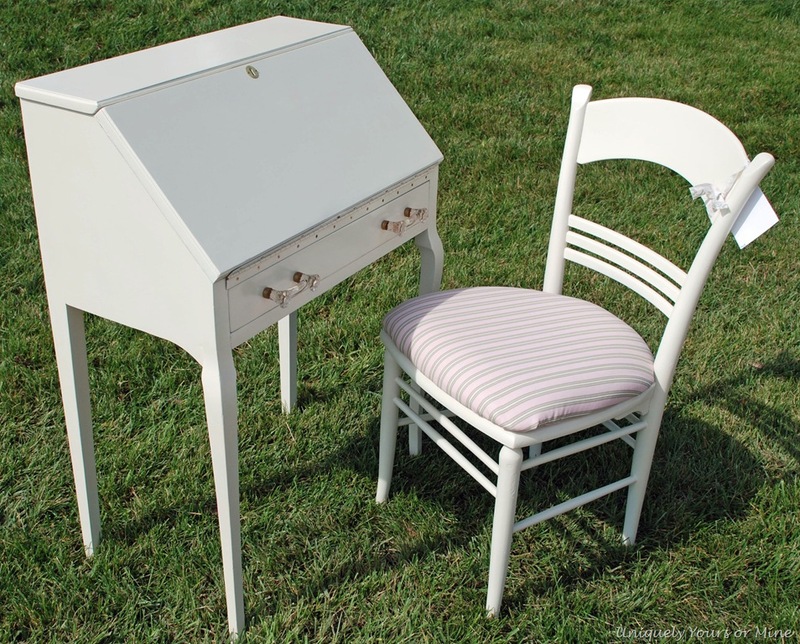 This is a pink desk with no Provence at all… if it’s another piece just let me know which one and I’ll get back to you!